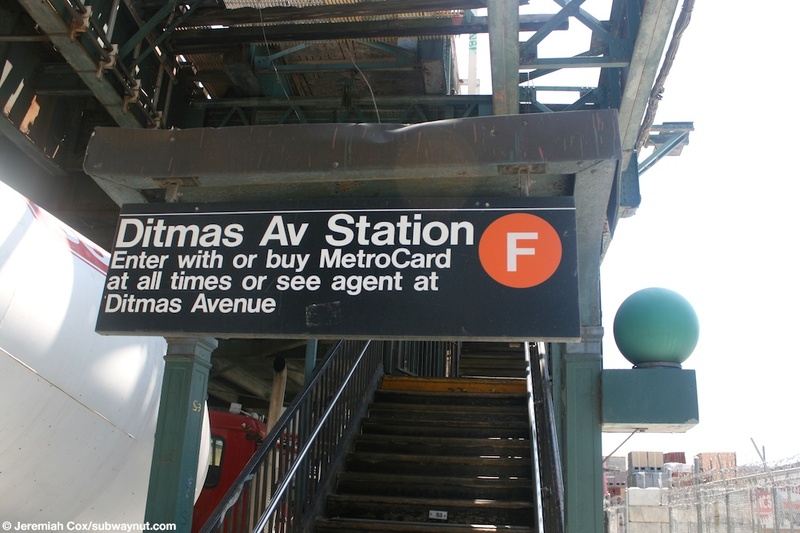 Ditmas Avenue is the most northern station stop on the Culver Line's elevated. Just north of the station the four tracks of the IND Culver Line Subway rise-up through the surface to reach the el. 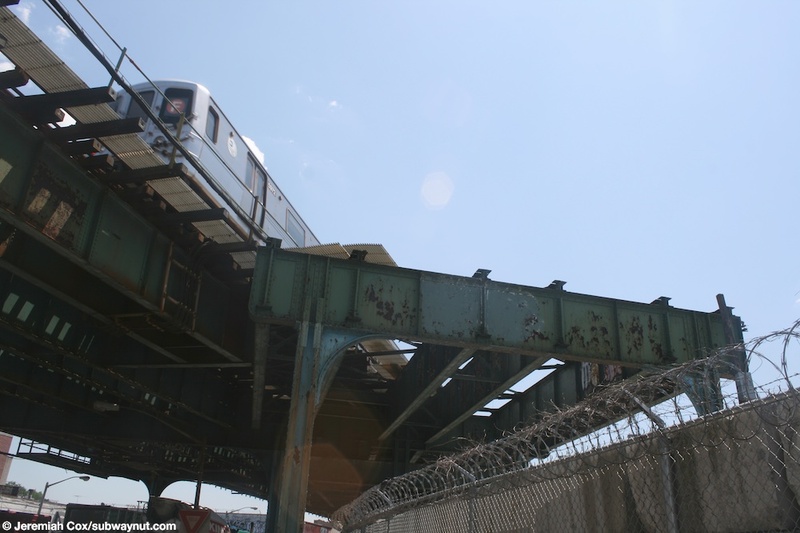 There are various switches just north of the station where the middle unused express tracks have switches onto both the local track and with the line's middle track, to become the unused center express track that runs in the middle of the Culver Line's el, that is above McDonald Avenue for its entire length. The station also has the remains of what was once the Culver Shuttle. 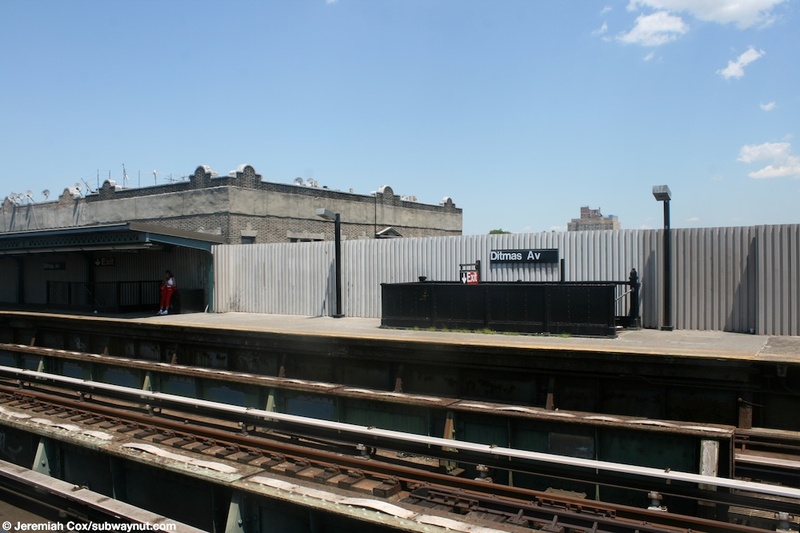 Before the portal connection was built to the IND at Church Avenue that opened October 30, 1954 it was the northern end of the BMT Culver Line, with through operations to the 4th Avenue Subway (and previously the long-abandoned 5th Avenue elevated). 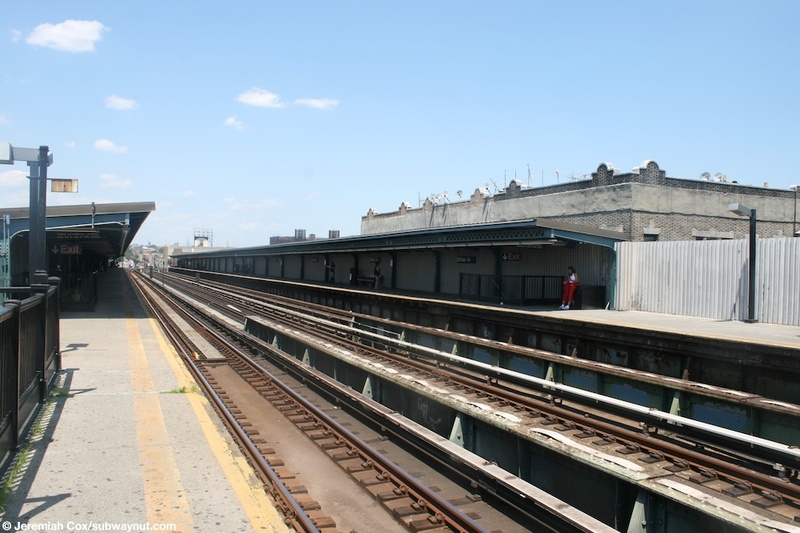 From 1954 to 12:01am on May 11th, 1975 this short section of line that ran from Ditmas Avenue to the abandoned lower level at 9th Avenue with two intermediate stations (13th Avenue & Fort Hamilton Parkway) was a simple single-opened track shuttle service (the line before the IND had the tree tracks continue). There are still some visible remains of the Culver Shuttle within the station. These really can be only viewed from street level. 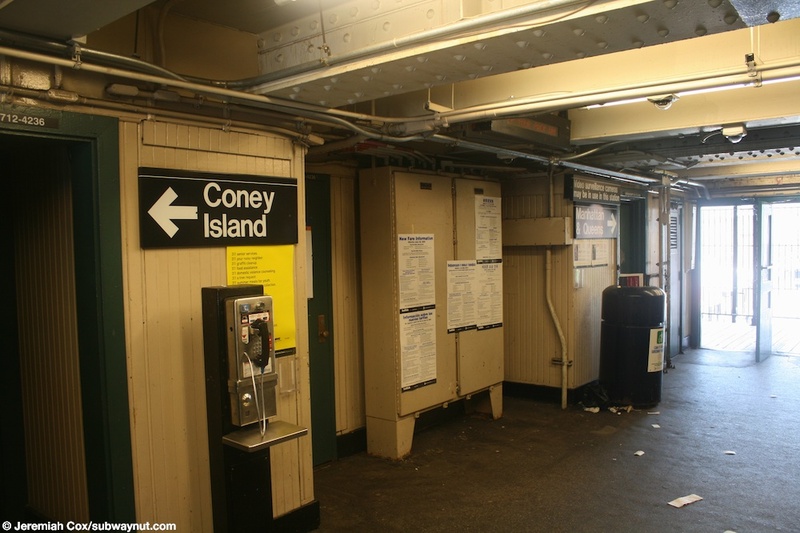 What was once the former trackway of the shuttle's terminal track that terminated alongside the Coney Island-bond platform, giving it the feel of an island platform, structural steel is visible. These steel remains continues just north of the station where what looks like the structural steel ghosts of what were once two tracks continue a very short distance beyond the station, and end within the private property and barbed wire fence that is adjacent to the station, on the west side of McDonald Avenue. For more information on the Culver Shuttle, Check out the Culver Shuttle, a website that's dedicated to it. 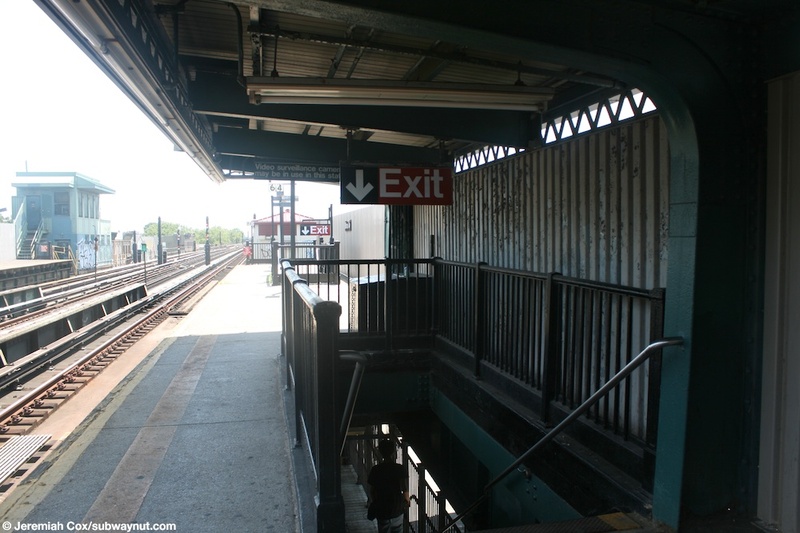 A staircases down to the full time exit to Ditmas Avenue, it is completely exposed to the elements, being on the platforms beyond the end of their windscreens. Looking down the three-tracked, two-island platformed Ditmas Avenue Station. 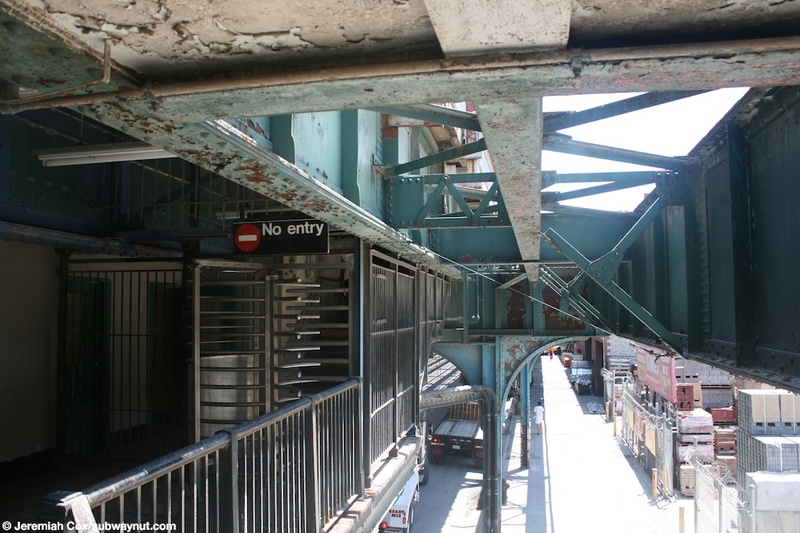 The exposed to the elements staircase on the Manhattan-bound platform, with a second staircase beneath the windscreen also visible in this view. 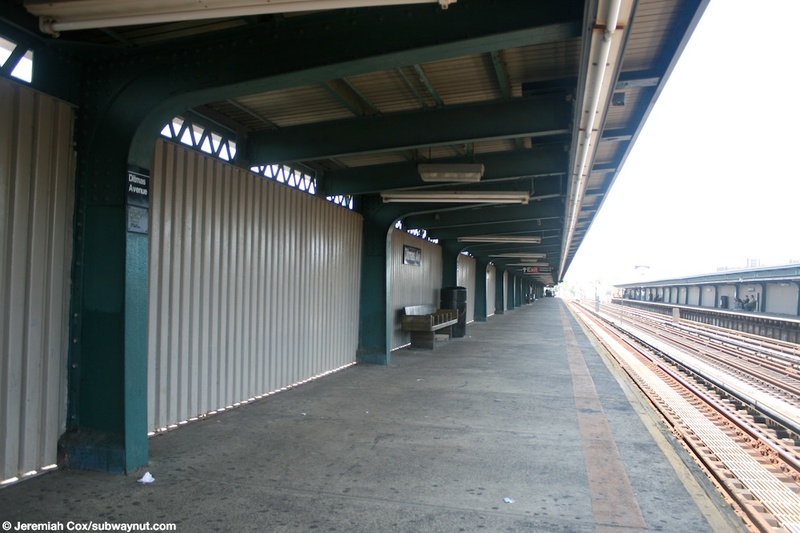 Looking down the Coney Island-bound platform at Ditmas Avenue. 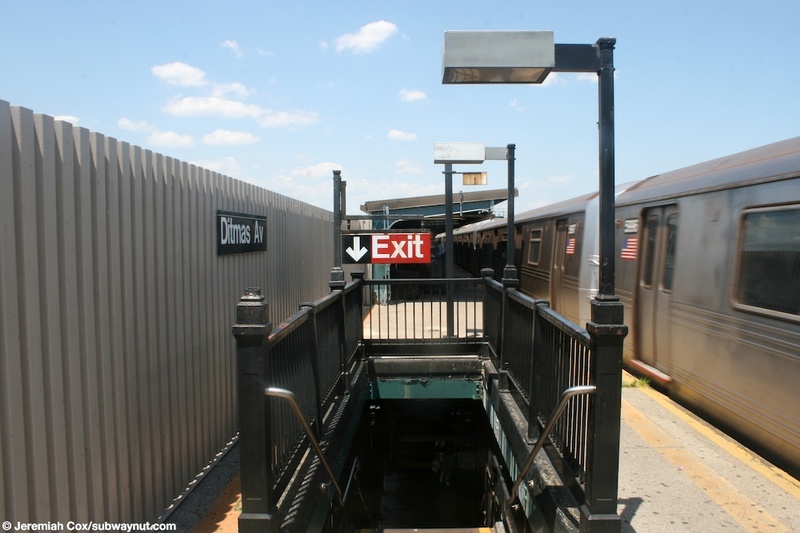 The pair of staircases on the Coney Island-bound platform at Ditmas Avenue, down to the main exit. 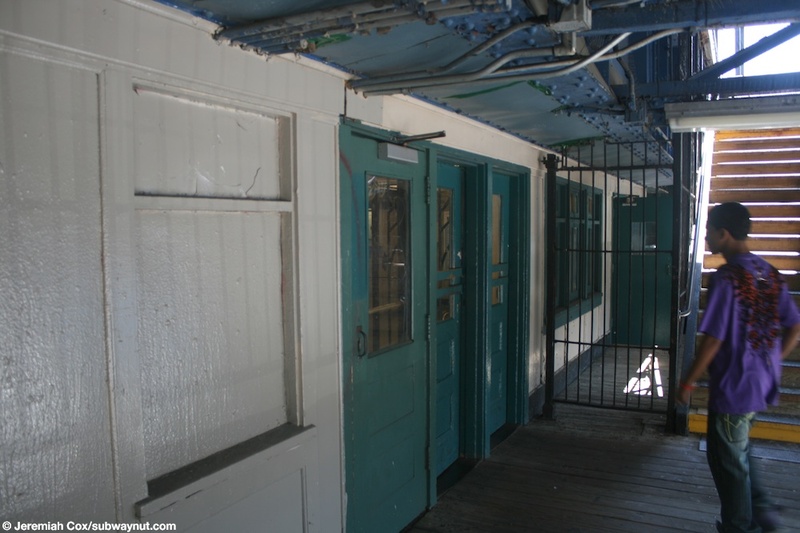 Approaching the doors into the station house beneath the tracks at Ditmas Avenue from the Coney Island-bound platform. 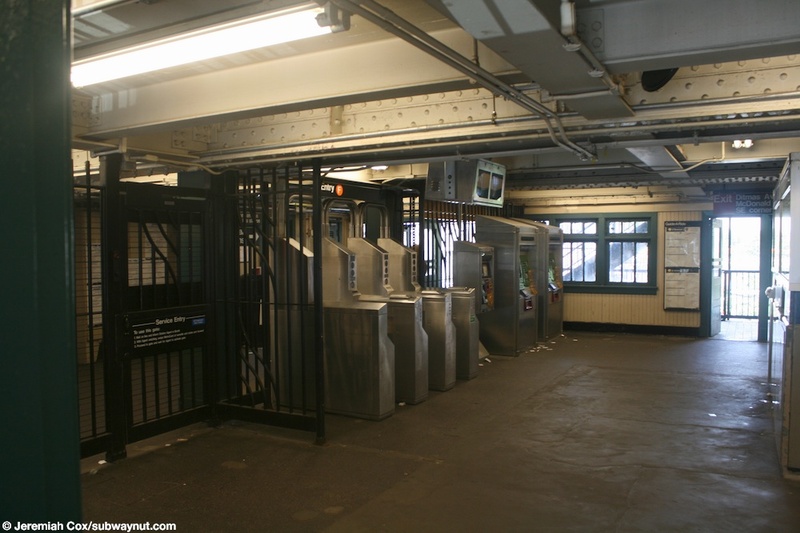 The small area in the 24-hour station house beneath the tracks within fare control after the turnstiles. 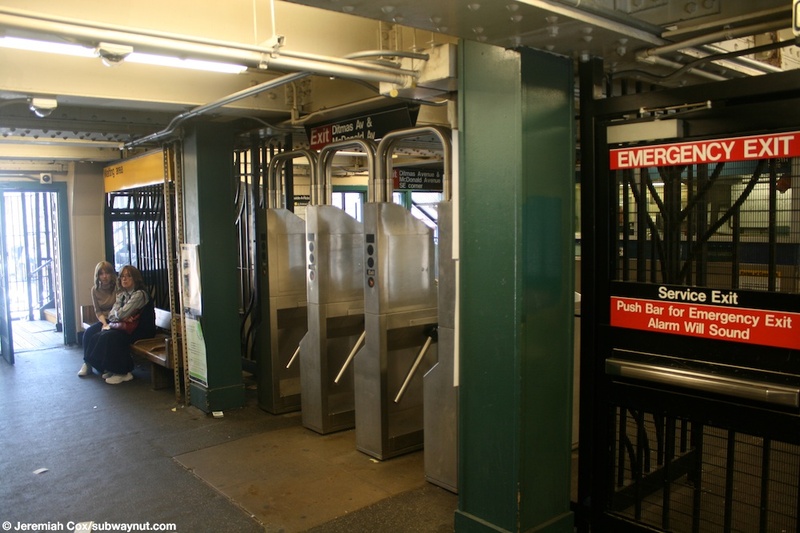 The three turnstiles out of the subway system in the station house for the Ditmas Avenue exit. 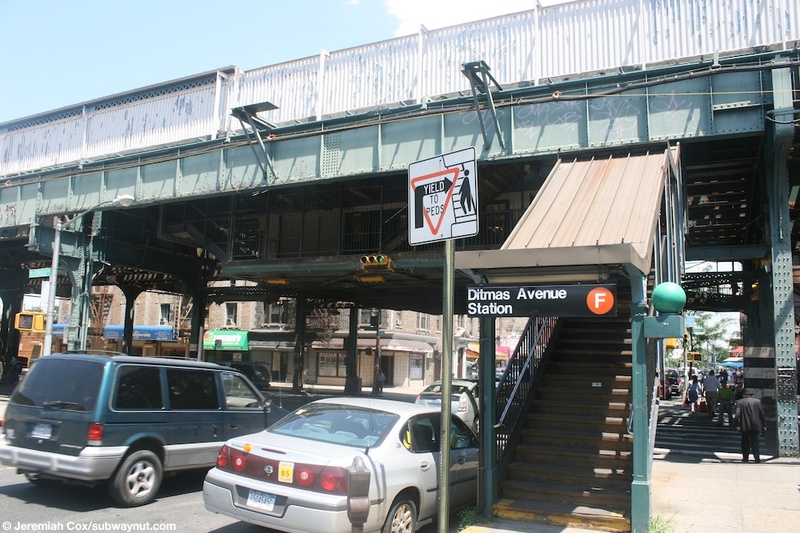 Streetside of the small bank of turnstiles with the station's only token booth for the Ditmas Avenue exit. Outside of fare control the backside of one of the staircases up to the platforms at Ditmas Avenue. 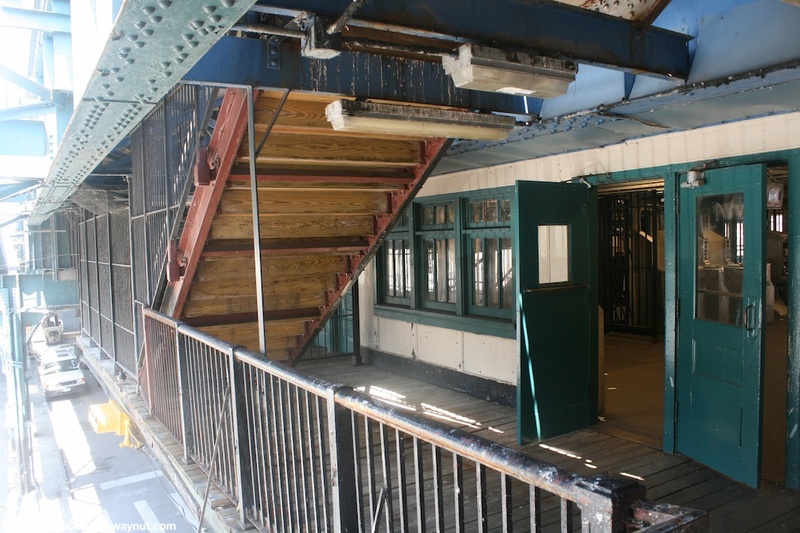 An entrance staircase from street-level to the Ditmas Avenue Station. 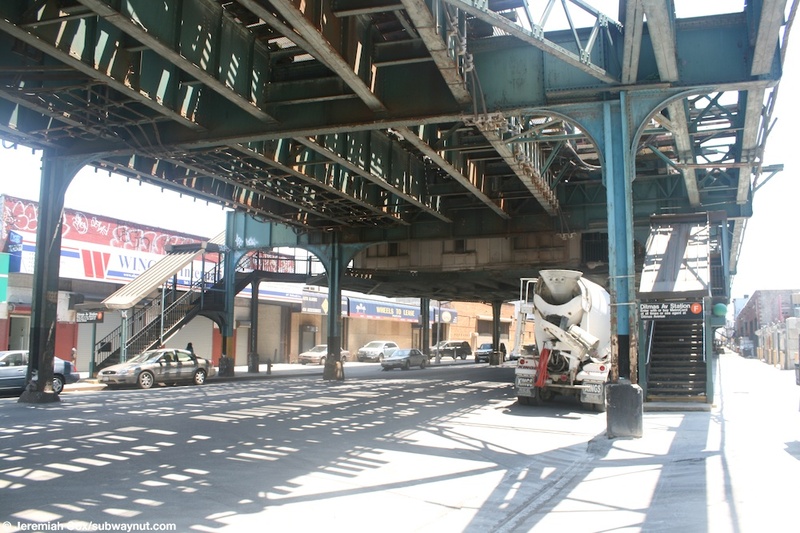 The remains of what was once the trackbed for the fourth terminating track of the Culver Shuttle at Ditmas Avenue. 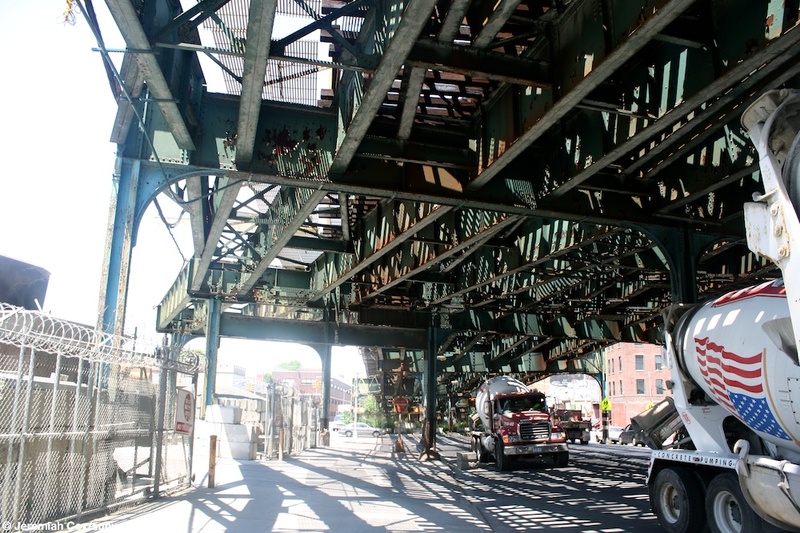 Another view beneath the tracks with the remaining trackbed of the Culver Shuttle's terminating tracks at Ditmas Avenue. 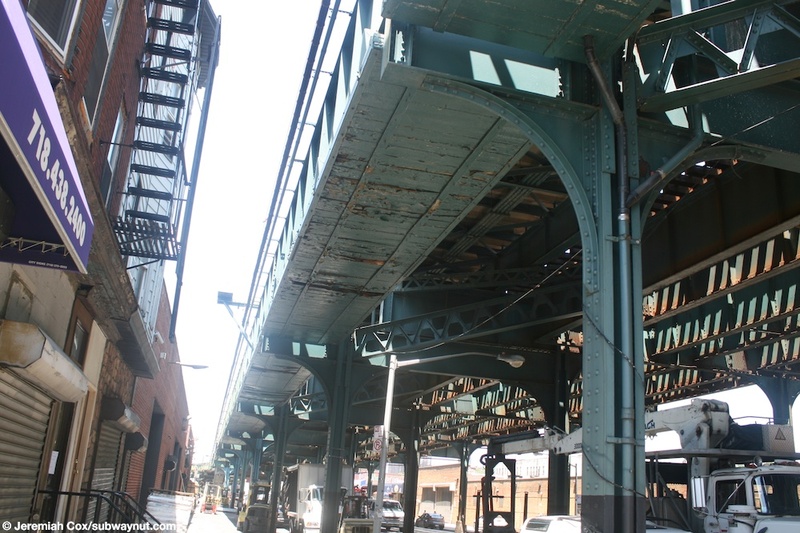 Looking beneath the station house for the Secondary entrance at the northern end of the Ditmas Avenue Station. 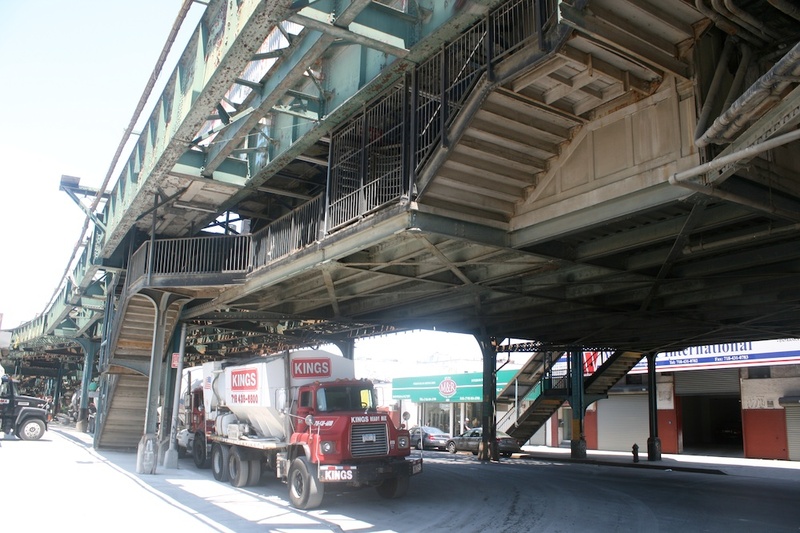 It has a pair of staircases up from street level and a single one up to each platform. The pair of staircases viewed from street level at the secondary station house of Ditmas Aveune. The tail abandoned track of what remains of the Culver Shuttle at Ditmas Avenue. An old black text on white enamel sign for Methodist Hospital at 7th Avenue. 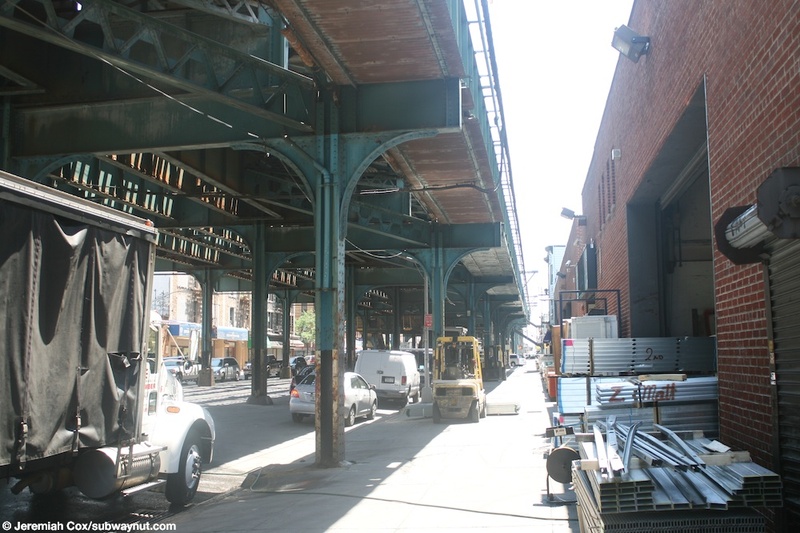 Looking down the unused express tracks at 7th Avenue. There is a photograph (no plaque or credit given) of a pond in Prospect Park near the turnstile area at 7th Avenue on the wall of the mezzanine. 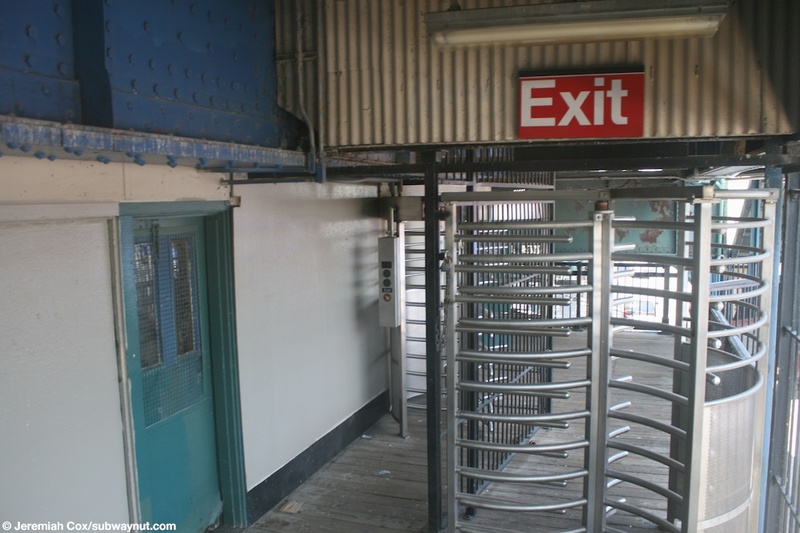 The single bank of turnstiles at 7 Avenue say Exit: 7 Avenue & 9 Street.